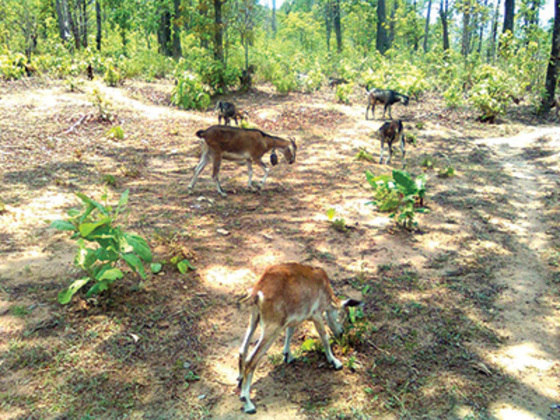 Ujendra rounded up the goats and cows after they had grazed, leading them back to their homes with a wooden stick. Villagers hired him to care for their livestock, even though he didn’t have any of his own. 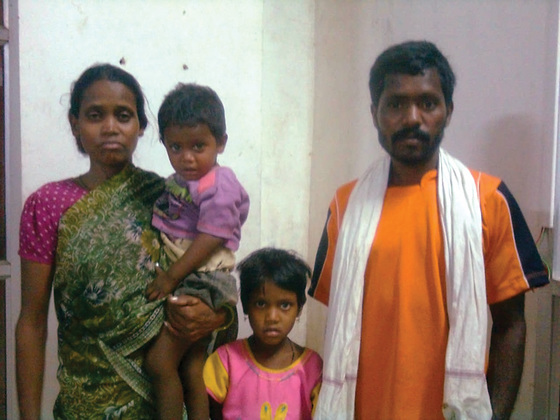 At the end of the day, the amount of pay Ujendra received for his work was insufficient to provide for the needs of his wife and five children. He had to make sure they had a home to live in, food to eat and decent clothes to wear. Two of his children were old enough to attend school, so Ujendra had to stretch his income to also provide for their tuition and the notebooks, uniforms and supplies needed to keep attending—or his children would have to drop out. Herding the villagers’ goats and cows didn’t always take care of his family’s essential needs, but it was Ujendra’s job, and he made the most of it. A few years ago, Ujendra learned to trust the Good Shepherd for his and his family’s survival. He had discovered the depths of God’s love while watching a movie about Jesus, which was hosted by a Gospel for Asia-supported film team. The movie touched Ujendra’s heart, and that night he was adopted into the family of God. The next year, when his pastor, Gospel for Asia-supported pastor Patoj, saw the family’s financial condition and their great need, he requested a pair of goats be given to Ujendra at a Christmas gift distribution. Within six years, that pair of goats increased to 14! Now Ujendra is making enough to take care of his family well by herding both the villagers’ livestock and his own. Seeing God’s people care for those in need also helped the community understand the Good Shepherd’s love, and now 65 people have received hope for eternity. Thank you for helping struggling families overcome their poverty through your prayers and support.